Old [Fictional] Friends | Que Sera Sara? Do you have stories that never get old? No matter how many times you hear them they still feel alive? They can rekindle a sinking heart or augment delicious indulgences, but always prove stalwart companions. Must be some type of magic. And today, as I sold off our books — we’ve shed several hundred so far — I put an old favourite on tv to keep me company. At the time I didn’t think much of it, just something familiar to hold onto absent-mindedly in all this goodbye. But as happens so often these days, I accidentally managed to end up with exactly what I needed. Anne of Green Gables may have been one of my most watched VHS as a child. My parents taped it off of the tv for me. I can still remember the scratchy static of a rewound tape, followed by the twangling of the PBS Wonderworks sting. And yes, like most tweens, I used to cry for Matthew and dote on Gill. [Gill, who I saw live on stage in Romeo & Juliet in high school [and shirtless!] and I was so ridiculously excited. It probably made my year.]. But today it was so much more. The story, if you don’t know it, is a girl of obscurity and quirks, thrust into and eventually accepted by a small rural community. She is feisty and clever and always getting into scrapes which pretty much any gawky youngster can relate to. In the stories about Anne, and there are many, she eventually seeks out the wider world with a heart full of country poetics and natural romanticism that are never diminished, no matter how far she roams. She’s a girl who adventures in many shapes and forms, but always, always finds peace in the woods and dales of home. If you’ve never seen it, the definitive film adaptation above (and the sequels and television series it later spawned) are an unabashed lovesong to Atlantic Canada — all sweeping vistas, tall grasses, lush meadows and idyllic pastures. Almost every shot is dappled with impossible sunlight. The apples are always ripe. I could swear the horses actually shine. There is something so wholesome and loved infused into each and every breath that it feels natural and genuine despite its age. Consequently, I am pretty sure this production is singlehandedly responsible for 99% of the tourist trade on Prince Edward Island. I certainly know half a dozen dew-eyed women who’ve made the pilgrimage (often with unsuspecting husbands in tow). My point was Anne (and Anne) feel very absolutely mine even still. And deep down I am afraid I over-identify just a little. In an afternoon already riddled with nostalgia and goodbyes of my own, I can’t help but wonder if I have built my homecoming into an impossibly perfect thing. That somehow without quite realising it I imagine my own return will be just as triumphant and beautiful. I’ll be as full of natural grace as Anne, who finds peace and happily ever after somewhere simple and hewn. That somehow the places of my youth will be cast in the golden glow of perfection, and I’ll be content to watch ducks on a lake and bob for apples when my autumn years approach. I may have several more lifetimes of restless adventuring ahead. And let’s face it, even on it’s best days the stripmalls and baseball diamonds of mid-Michigan won’t hold a candle to the sweeping dunes of PEI no matter how lovingly tinted my view. Behind old fashioned children’s books and dated hair styles, beyond love stories and happy endings, there is home and beauty and a world full of wonder. And that is my kind of magic, wherever we land. Which is why Anne has accompanied me across the globe so far, I suppose. And I have an inkling she always will. Whoa. This post grabbed me. I grew up in Kalamazoo Michigan on a steady diet of the woozy VHS copy of the Wonderworks Anne of Green Gables my dad dubbed off PBS as well as the soundtrack cassette (which I proudly adopted as an heirloom). Your childhood memories of that experience, and the feeling that came with it couldn’t have been truer to my life if I’d written them myself. Being a boy, I was began to assign it to the “stuff my sister likes” pile around the age of 8 or 9. But it had a way of asserting itself through constant subconscious associations over the years and I ended up shamelessly re-embracing and promoting it toward the end of high school when I realized you’re allowed to like anything you damn well please. 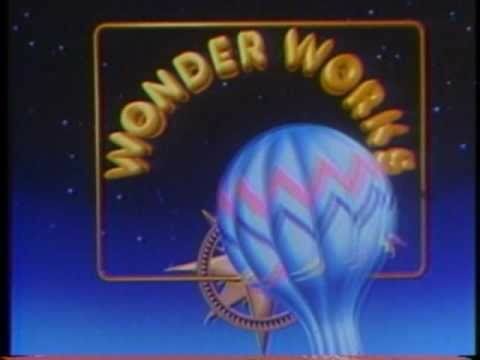 I found your blog searching for references to the Wonderworks balloon (just taking an indulgent little nostalgia break). Our family quotes the film incessantly and we ended up taking vacations to the Maritime provinces two summers in a row. Thank you for the post. Besides obviously being a “kindred spirit”, I really like your writing. Evan, despite my shamefully late reply, I cannot tell you how much your comments mean. You’ve honestly made my week. As a fellow Michigander (!) and kindred spirit I am so pleased and touched my words reverberate with you. Thanks so much for your kind words. May we both find our own Green Gables somewhere soon! Anne of Green Gables is one of the best television adaptations of a book(s) around. It is beautifully filmed and faithfully written. I can watch it over and over. The second series, Anne of Avonlea, is also well done. But, a word of caution: don’t watch the third in the series, Anne of Green Gables: The Continuing Story. Absolutely nothing in this made for TV film happens in the books. In fact, Anne and Gilbert are young and newly married and Gilbert goes off to WWI. Yet in the books, three of Anne and Gilbert’s sons are fighting in WWI. For me, it was a sacrilege. Lucy Maude Montgomery was probably spinning in her grave. I have fond memories of watching this series over and over again as a young girl and cannot wait until my daughter is old enough to experience the magic of Green Gables for herself. I will be right there watching it with her! I always enjoyed Anne of Green Gables because it continues on in her family and friends’ lives. I also liked Little Women because of this. The Jane Austen books, Pride and Prejudice and Sense and Sensibility were also nice because the history has some bad times, but even then somehow each family overcomes their setbacks. I liked the way you presented this in the post! Thanks for the photos to help remember it better! The moment I saw your picture on the bridge, the theme song was in my mind. I love that series so much. It makes my heart happy. I totally grew up with Anne, and the fuzzy VHS copy. Was in PEI last spring, and made a pilgrimage to Green Gables–so special! I spent my entire honeymoon on Prince Edward Island wishing I had Gilbert instead. The marriage ended, of course. I feel the same way about this book, adaptation,and television series. It is a particular place of nostalgia I revisit every chance I can. The Anne of Green Gables movie is one of all time favorites. I reread the books every so often. Have you read Before Green Gables http://www.beforegreengables.com/? It’s a book that tells about Anne’s life before Avonlea. I found it incredibly creative. What an odd coincidence. A co-worker of mine just brought in her “Anne of Green Gables” and “Anne of Avonlea” VHS tapes for my daughter and I to watch. She said she and her grown daughter were just reminiscing about what great movies they were and I said I’d never seen them. She gave them to me hours ago, and then I stumbled upon this blog post. Serendipity. Thank you for providing a wonderful post that provides insight into the work as you see it and, more importantly, a glimpse of a sensitive and warm intellect … yours. I wouldn’t fret that, “deep down I am afraid I over-identify just a little.” Truly great fiction that inspires does that to its reader. What kind words! Thanks ever so much. I absolutely loved the tv adaptation of Anne of Green Gables. My friend and I used to watch it all the time – we were obsessed with Gill! I have recently read the books with my nine year old daughter and she loved them too. She now wants to watch the dvd’s so one day I will buy them and we will have a girls night and watch them all. The teenager in me can’t wait! I read the series every few years and it just gets better and better the older I get! As much as I enjoy the movies, and am happy you do too, I do hope you’ve delved into L.M. Montgomery’s novels! They are literary magic and the character of Anne is far more alive and relatable between the pages than on screen. It’s not really the movie that made PEI the pilgrimage it is today, it’s the classic children’s novels. This absolutely says it all about how I feel about my number one favorite movie and book. Every time I come across it on TV I have to stop and watch it. I loved these mini series with all my heart when I was in middle school & high school!! Gil was my ideal boyfriend for a really long time & I despised Josie!!! Such wonderful characters. Thanks for the trip back to my youth!! Congrats on being fresh pressed! I feel that way about Pride and Prejudice and the musical Les Miserables:) Absolutely love these two stories! Many hours of my childhood have been spent watching this movie. A few weeks ago I was judging a speech competition for high school students, and one girl had wild, curly hair, and spoke in florid language. In my notes, I wrote, “Anne Shirley,” because it was exactly the impassioned, ornately written speech seeking justice and goodness that Anne with an E would write. I have never seen the adaptation of Anne of Green Gables but after reading this post, it has made me want to watch it. I love the Anne of Green Gables books; I remember reading and re-reading them over and over when I was about ten. I used to imagine I was Anne and having red hair myself really helped me get into character! L. M. Montgomery’s books are so wonderful. Did you read her Emily trilogy too (Emily of New Moon, Emily Climbs and Emily’s Quest)? It is quite similar to the Anne series in that it follows a young orphan, Emily Starr, who is brought up by relatives on PEI. I’m feeling quite nostalgic now! Wonderful, wonderful characters. I’m so glad I was introduced to them at a young age. Oh Grace, you are in for a treat (up to a point… It deviates quite a bit as you go on in the series!. I’d love to hear what you think of them! Have you also read the Emily of New Moon three books by Lucy Maud Montgomery? The TV series was terrible, but I loved the books, especially the first one, so much that I named my daughter after the main character. This post couldn’t have been more perfectly timed! It is my “bosom friend’s” birthday today, and we have long identified ourselves as Anne (me) and Diana (her). I can’t wait to share this post with her! Happy birthday to your Diana! Absolutely, books are so much more than objects sometimes. This purge has consisted almost entirely of paperbacks I can regain secondhand cheaper than the cost of posting these copies. The sentimental ones are absolutely staying. This was a very interesting piece of writing. I enjoyed every word. My best friend and I watched this (yes, a recorded version too!) repeatedly while growing up. And I know it helped influence the women we are today. Thanks for the well-written ode to Anne-with-an-e and the bittersweet pang of nostalgia. “Behind old fashioned children’s books and dated hair styles, beyond love stories and happy endings, there is home and beauty and a world full of wonder. This sums it all…and it strums some unsaid undiscovered unexplored chords which bring tranquility – today and I reckon will always will. beautiful. congratulations on being freshly pressed. Glad to hear it struck a chord for you! You saw Gilbert Blithe in real life?!!! My inner 14 year old is jumping up and down with giddy jealousy. I have been in love with these books since I was in elementary school. Anne is one of the definitive female characters in literature, in my opinion. Every young adult fiction fan should stick a nose into this series. Who needs vampires and dystopia when love – and life -stories are this good? Now I know I am not the only one that crazes Anne of Green Gables ! Thanks for sharing. I have made the trip to Prince Edward Island ( husband and sons in tow). It is wonderful. I have lots of other fictional friends. I recently read Anna Karenina for the third time and identified with Dolly rather than Kitty. Guess I getting old. Oh my, I clicked just hoping it was about Anne! I adored the books and watched the TV series with my mom. When I reread the books as an adult, I told my husband that I think – in the back if my mind – every decision was somehow colored by Anne. (Either me wanting to be her or wanting to be her bosom friend!). In fact, my husband and I grew up together, somewhat competitively academically and I’m now a teacher. I read ALL the books when I was young. I loved everything about them and was infused into a place and landscape and time that I never knew but which I could picture perfectly. I saw the first of the TV series but as my internal imaginings were still so vivid, I couldn’t watch any more. Maybe I should revisit …… Thanks for a great post! I just watched this on the Hallmark Channel a few weeks ago. It never gets old. I used to watch all the DVDs whenever I would get sick, and the kids would watch with me. My son once commented of Anne: “She is the most loving person ever.” I like how she found the ideal in what she had. She found a way to not always long for the next place or the next toy or dress or boy. I try to be like that, too, and to be happy with where I am and what I have. I read the books, and they are sweet. I often used to daydream that Anne somehow turned up in my life and I got to show her around my world. Katy Carr too. I love your post. I, too, am obsessed with Anne of Green Gables. I have it on DVD. I did my own little homage to it on my blog, where someone told me about the most amazing books. They are by the same author. It starts with EMILY OF NEW MOON. Amazing! I have friends who adore the Emily books, I’ve always meant to try them too. Oh wow…this is fantastic. Anne of Green Gables and the movies that followed it were my favorite series of all time. I have the series in my DVD collection. I read all the books as a pre-teen and teen and just loved them! PS. I considered making that pilgrimage to PE Island, but knew that Anne and her world would be long gone., I decided to keep the fantasy alive by staying away. I read the first few Anne books. The first two are the best, I think. Saw the Canadian version of Anne of Green Gables and I can’t imagine anyone else playing those lead roles, including Rachel and Diana. I can only imagine that whoever chose the cast must have been an Anne fan. I know this’ll sound very dorky, but I always loved the anime Code Geass: Lelouch of the Rebellion. It’s a tale with something for everyone: action, morals, politics, giant robots, a bit of romance. To this day, this anime still inspires me and the stories I write. Much obliged for the map, just as you were writing about PEI I thought to myself, hmm I wonder how long it would take to get there from here. My copies of the Anne (with an e!) of Green Gables stories are soft and worn from all the reading they got and still get today. Glad to know I’m not the only one who’s literary loves are not bound to any knowledge of geography! Love this! Anne of Green Gables is one of the few series’ that has carried over to adulthood for me that I still treasure to this day and will stop dead in my tracks to watch it! You’ve completely summed it up for me in a nutshell! I make it a point to watch the movies annually and have engrossed my 8yr old daughter in them as well, she loves them as much as I do! Thanks for Sharing! If we all stayed in the place we were born, Mrs Lynde, it would soon get filled up. I paraphrase, for it’s 7am and my books are en route to their new Canadian home, so I rely on memory to say in a rather convoluted way that I love your post. LOVE THIS. I’ve always identitified with Anne from a young wide-eyed child to the overly imaginative and hopefuly 22-year-old I am today. She’s always been a part of me, and I’m watched that series countless times (at least three times a month) when I was younger. I’m ashamed to admit I’ve only read the first book, but I recently picked up the entire series for $8 at a book sale, so I’ll get to reading them this year. I’ve never read past the first one either — let me know how it goes! Don’t forget..gus…gus pike…i cant see a lighthouse and not think of him ….and matthew marilla’s brother …fantastic characters set on a loving landscape. Keep her with u. You know, today Matthew was pretty much just a Boppa-by-proxy. How did I never see it before?! Glad to hear the magic still works for you too!